Note to the reader: The following is a critique of the National Institute for Standards and Technology (NIST) report on the World Trade Center (WTC) collapse. The 43 volume NIST report was the result of a 3 year investigation, and was released in September 2005. It remains the official US government explanation for why the WTC collapsed on 9/11. As you are about to discover, the report itself collapses under scrutiny. There is no doubt that the NIST investigation was politically controlled by limiting its scope, thereby making the truth unobtainable. This is one way to neuter an investigation. 12/21/06 -- -- Fires raged at ground zero for many weeks after 9/11. In fact, it was not until December 19, 2001 that the NYC fire marshall declared the fires extinguished. The fires burned long into the cleanup. The removal of steel beams and debris from the top of the pile allowed oxygen to reach the fires smoldering below. As a result, the flames often flared up, hampering workers on site. Joel Meyerowitz, a photographer, made note of this in his 2006 retrospective book, Aftermath. Armed with his trusty camera Meyerowitz roamed ground zero for months following the attack. Police repeatedly ejected him, but he kept returning in order to document what had happened. Eventually Meyerowitz amassed an impressive photographic record. In his fine book he remarks that the ground in places was so hot it melted the workmen’s rubber boots. But Meyerowitz was hardly the first to comment on the pile’s incredible residual heat. The first accounts of molten steel came just hours after the attack: from the search and rescue teams who were among the first on the scene. Sarah Atlas, a member of New Jersey Task Force One Search and Rescue, was one of these emergency responders. Sarah reported seeing molten steel in the pile even as she searched in vain for survivors. 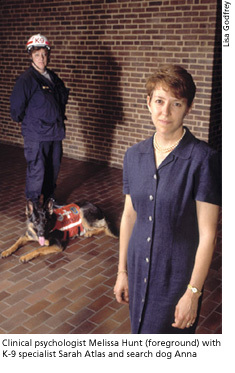 Even before the twin towers of the World Trade Center fell, Sarah Atlas and her canine partner, Anna, a black-faced German shepherd, were deployed by New Jersey’s Task Force One Urban Search and Rescue. By the end of the day on September 11, they were at Ground Zero, where they stayed for ten days in a fruitless search for survivors. “The [NYFD] people who called us had been killed,” Atlas considered as she surveyed the tons and acres of wreckage. “Nobody’s going to be alive.” Fires burned and molten steel flowed in the pile of ruins still settling beneath her feet. She wore a respirator to filter out the smoke, dust, and fumes, but Anna worked without a mask to sniff out places where the broken dead lay. Anna is a live-find dog, but she developed a “truly intent stare” that Atlas came to recognize as her response to catching the scent of a corpse. Mostly they found parts. 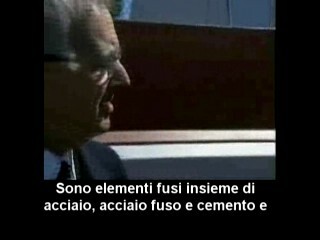 A similar account came from Leslie E. Robertson, an engineer who helped design the WTC. He is currently a partner at Leslie E. Robertson Associates, a structural consulting firm that was under contract to the WTC at the time of the tragedy. In a keynote address Robertson reportedly told the Structural Engineers Association of Utah that: “...as of 21 days after the attack the fires were still burning and molten steel still running.” Public health officials/experts also toured the scene of destruction. Alison Geyh Ph.D., an Assistant Professor of Environmental Health at Johns Hopkins, was with one of these teams. She wrote that “In some pockets now being uncovered they are finding molten steel.” The fact was even reported to the 9/11 Commission by Kenneth Holden, Commissioner of the city of New York. He told the panel about seeing “molten metal” during a walkthrough. The evidence accumulated even as the cleanup progressed. 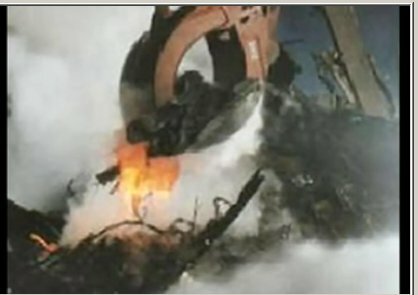 Work crews removing the mountain of debris, piece by piece, discovered pools of molten steel beneath the pile, where the towers had stood. One pool was found at the bottom of the elevator shafts. Some of the pools were not found until 3, 4, even 5 weeks after 9/11. Contractors working on site confirmed these discoveries. Such as Peter Tully, president of Tully Construction of Flushing New York, who was one of four contractors engaged by New York City to handle the cleanup. 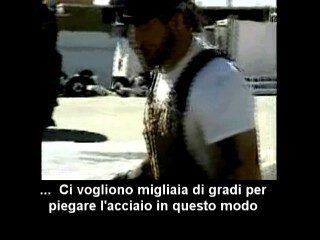 During an August 2002 interview Tully told the American Free Press that indeed workmen had seen the molten pools. The same interview included a statement by Mark Loizeaux, president of Controlled Demolition, Inc., who, years before, ramrodded the cleanup of the bombed Federal Building in Oklahoma City. Loizeaux was called in by Tully to draft the cleanup plan for the WTC site. 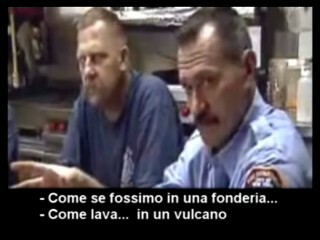 Loizeaux said, “Yes, hot spots of molten steel were seen in the basements.” Molten steel was also found under WTC 7. 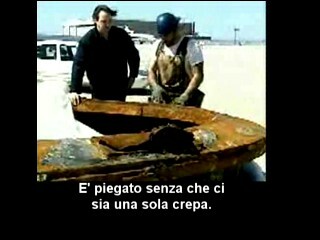 These pools of molten metal have never been explained. 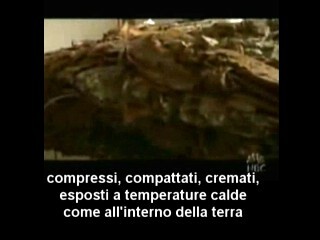 Loizeaux told the American Free Press that the continuing fires were fueled by “paper, carpet and other combustibles packed down the elevator shafts by the tower floors as they ‘pancaked’ into the basement.” Manuel Garcia, a physicist, has suggested that cars left in parking garages under the WTC contained gasoline that may have fueled the fires. Both are probably correct. But none of these fires were hot enough to melt steel. 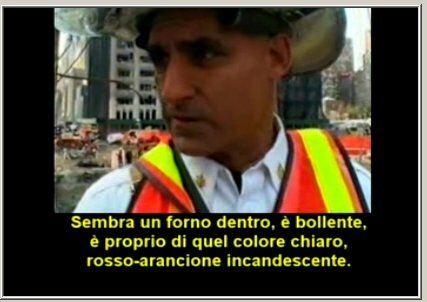 Indeed, none of the combustibles in the wreckage burned anywhere near the melting point of construction grade steel beams (2800 °F). As noted, the smoldering fires for the most part were oxygen-starved. 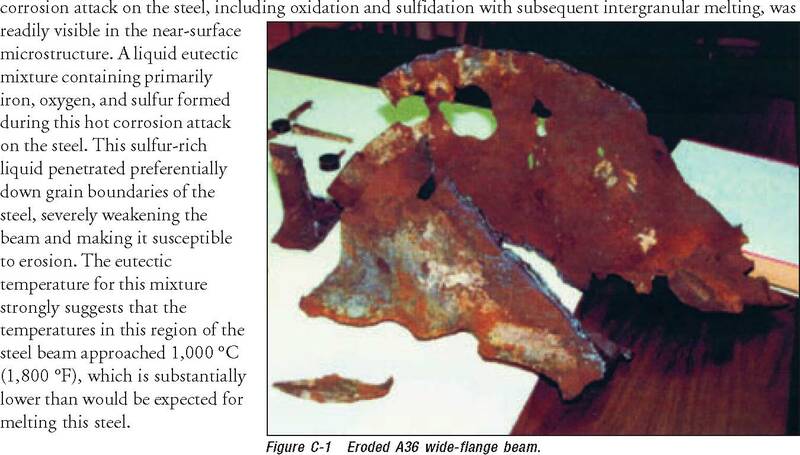 The persistence of molten steel under the WTC for many weeks is extraordinary–––and anomalous. Evidently, the hot spots under the wreckage were not in the least fazed by heavy rain on September 14-15, nor by the millions of gallons of water that firemen and cleanup crews sprayed on the smoking ruins. Five days after the attack the US Geological Survey (USGS) found dozens of “hot spots” in the wreckage via remote sensing, i.e., an infrared spectrometer (AVIRIS). 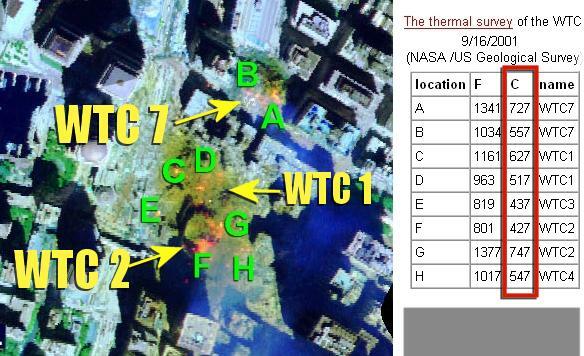 The two hottest spots were under WTC 2 and WTC 7. The USGS recorded surface temperatures as high as 747°C (1376°F)). The molten pools below the pile must have been at least twice as hot––––hot enough to evaporate rain and the water sprayed on the pile, long before it reached the bottom. 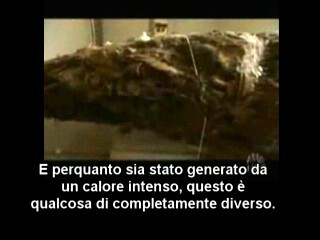 SINTESI: A cinque giorni dagli attacchi questa termografia mostra dozzine di "punti caldi" fra le macerie, con TEMPERATURE DI SUPERFICIE di oltre 700 gradi centigradi alla base del WTC2 e del WTC7. 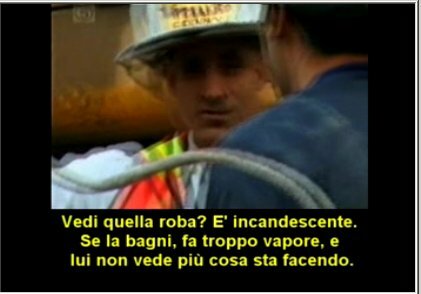 Le pozze risultanti dalla fusione debbono essere state calde almeno il doppio - calde a sufficienza da far evaporare la pioggia e i milioni di galloni d'acqua che le squadre di recupero hanno gettato sulle rovine fumanti. 2. Dr Keith Eaton, The Structural Engineer 3, September 2002, #6. 3. James Williams, “WTC a Structural Success,” SEAU NEWS, The Newsletter of the Structural Engineers Association of Utah, October 2001, #3. 4. Magazine of Johns Hopkins Public Health, late fall, 2001. When I contacted Dr Geyh she confirmed the report. She stated that people involved in the clean up effort told her they had seen molten steel in the debris. Explosions Causing WTC Collapse” American Free Press, August 28, 2002. 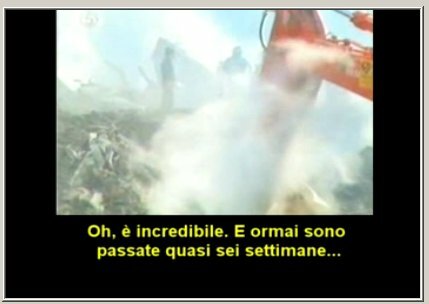 "Ci vogliono migliaia di gradi per piegare l' ACCIAIO in questo modo"
Two structural steel members with unusual erosion patterns were observed in the WTC debris field. The first appeared to be from WTC 7 and the second from either WTC 1 or WTC 2. Samples were taken from these beams and labeled Sample 1 and Sample 2, respectively. A metallurgic examination was conducted. readily visible in the near-surface microstructure. A liquid eutectic mixture containing primarily iron, oxygen, and sulfur formed during this hot corrosion attack on the steel. This sulfur-rich liquid penetrated preferentially down grain boundaries of the steel, severely weakening the beam and making it susceptible to erosion. The eutectic temperature for this mixture strongly suggests that the temperatures in this region of the steel beam approached 1,000 °C (1,800 °F), which is substantially lower than would be expected for melting this steel. Figure C-3 Mounted and polished severely thinned section removed from the wide-flange beam shown in Figure C-1. When steel cools below the eutectic temperature, the liquid of eutectic composition transforms to two phases, iron oxide, FeO, and iron sulfide, FeS. The product of this eutectic reaction is a characteristic geometrical arrangement that is unique and is readily visible even in the unetched microstructure of the steel. Figures C-4 and C-5 present typical near-surface regions showing the microstructural changes that occur due to this corrosion attack. Figure C-6 presents the microstructure from the center of a much thicker section of the steel that is unaffected by the hot corrosion. Figure C-7 illustrates the deep penetration of the liquid into the steel’s structure. In order to identify the chemical composition of the eutectic, a qualitative chemical evaluation was done using energy dispersive X-ray analysis (EDX) of the eutectic reaction products. Figure C-8 illustrates the results of this analysis. Figure C-8 Qualitative chemical analysis. 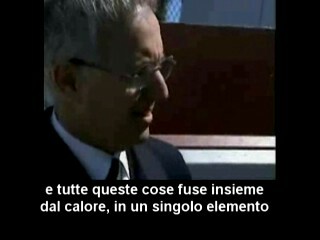 Heating of the steel into a hot corrosive environment approaching 1,000 °C (1,800 °F) results in the formation of a eutectic mixture of iron, oxygen, and sulfur that liquefied the steel. 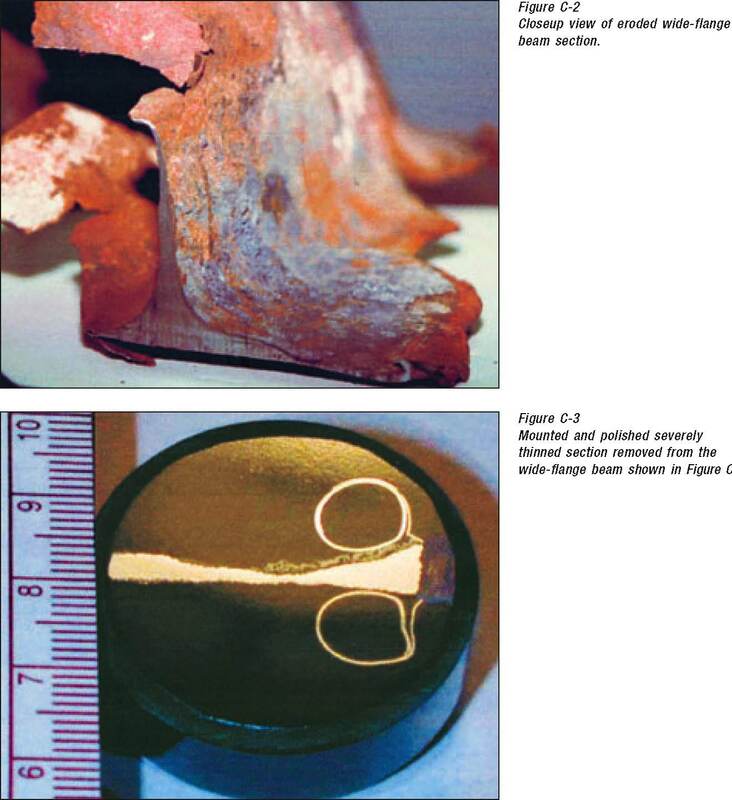 The sulfidation attack of steel grain boundaries accelerated the corrosion and erosion of the steel.